For courses in Entrepreneurship, Small Business Management, and Starting a Business. For fledgling entrepreneurs and business readers, Entrepreneurship: Starting and Operating A Small Business untangles the complex economic, financial, and professional considerations surrounding business ownership and operations. In its Fourth Edition, Entrepreneurship takes a critical look at contemporary entrepreneurial successes, allowing readers with a range of business interests to engage with and draw insight from the text. Balancing real-world case studies with thoughtful instruction, Entrepreneurship leads readers to develop their business plans step by step, at the end of each chapter. This approach allows readers to internalize different aspects of business ownership at a self-guided pace. This title is available with MyEntrepreneurshipLab—an online homework, tutorial, and assessment program designed to work with this text to engage students and improve results. Within its structured environment, students practice what they learn, test their understanding, and pursue a personalized study plan that helps them better absorb course material and understand difficult concepts. Steve Mariotti,founder of the Network for Teaching Entrepreneurship (NFTE), is considered one of today’s leading experts in education for at-risk youth. In 1982, he changed career paths when he decided to leave the corporate sector and become a special education teacher in the New York City public school system. Mariotti’s first assignment was in the East New York section of Brooklyn, and his last was in the Fort Apache section of the South Bronx. During his six-and-a-half years teaching, Mariotti discovered he could successfully motivate even his most challenging students by teaching them how to run a business. This experience inspired him to create a new kind of program--the first to bring entrepreneurial education to low-income youth. 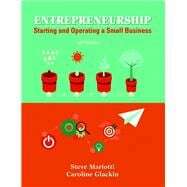 In 1987, Mariotti founded The Network for Teaching Entrepreneurship (NFTE). Today, NFTE’s mission is to provide entrepreneurship education programs to young people from low-income communities around the world. NFTE’s programs have a proven track record of success, and the network is widely viewed as the thought leader in the field. NFTE is an active member of the Council on Foreign Relations. In 2013, Mariotti traveled to Southeast Asia as a guest of the U.S. State Department on a mission to spread entrepreneurial education to youth from emerging economies in the region. In addition, Mariotti has been the subject of many national media profiles on such programs as ABC Evening News and 20/20. He has authored and coauthored 34 books and workbooks on entrepreneurship, selling over 10 million worldwide and distributing many more copies for free to at-risk communities, including prisons. His popular book The Young Entrepreneur’s Guide to Starting and Running a Small Business has recently been published in a new edition by Random House and is used to teach entrepreneurship from the United States to China, India, and the Middle East. Mariotti is a regular attendee and speaker at The World Economic Forum. Raised in Flint, Michigan, Mariotti received his B.B.A in business economics and his M.B.A. from the University of Michigan, Ann Arbor. He has also studied at Harvard University, Stanford University, and Brooklyn College. He started his professional career as a treasury analyst for Ford Motor Company before founding his own company, Mason Import/Export Services. Caroline Glackin, Ph.D., is a “pracademic” who has successfully worked as a microenterprise and small business owner and manager, as an executive director of a community development financial institution, and as an academic in areas of community development finance, entrepreneurship, and management. She is the Edward L. Snyder Endowed Chair for Business at Shepherd University in West Virginia. She has been assisting entrepreneurs in achieving their dreams for over 30 years. Glackin earned a doctorate from the University of Delaware, where her research emphasis was on microfinance. She received an M.B.A. from The Wharton School at the University of Pennsylvania and a B.A. from Bryn Mawr College. Her professional career began with the DuPont Company, American Bell, Bell Atlantic, and American Management Systems. She has consulted for businesses and not-for-profit agencies in turnaround and high-growth situations. After exiting a family business, she became the executive director of a community development financial institution serving businesses and not-for-profits. Dr. Glackin has succeeded in leading change in the practical fields of her research and has received numerous honors and awards. These include the first Gloeckner Business Plan Award at The Wharton School, the Minority Business Advocate of the Year for Delaware from the U.S. Small Business Administration, and the She Knows Where She’s Going Award from Girls Inc. Dr. Glackin cochaired the Delaware Governor’s Task Force for Financial Independence. She has participated in the Cornell University Emerging Markets Think Tank Series and has presented her research and pedagogy at numerous professional conferences. Case Study:Kitchen Arts & Letters, Inc.
10. Financing Strategy: Debt, Equity, or Both? Appendix I: Sample Student Business Plan: University Parent, Inc.